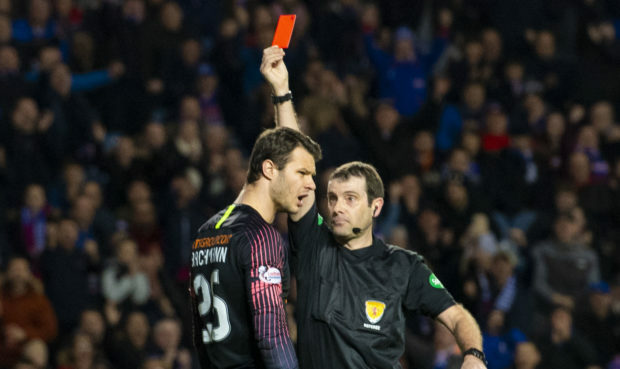 Kilmarnock are to appeal the red card handed to Daniel Bachmann at Ibrox on Wednesday night, the club have confirmed to Press Association Sport. Austrian stopper Bachmann was dismissed 25 minutes into the William Hill Scottish Cup fifth-round replay after an off-the-ball clash with Rangers midfielder Glen Kamara. Kamara went down claiming he had been elbowed in the face but Killie boss Steve Clarke later branded referee Alan Muir’s decision a “joke”.